The Pends in St Andrews is thought to be one of the gateways to the Priory or the Cathedral . The road is still in use today and leads down to the Harbour through these ruined arches. This HDR was shot at night on 3 long exposures. Luckily no cars wanted to come down the road while I was taking them So I got it done in one go, without being run over. My HDR tutorial is nearly finished, hope to have it up on the site by the weekend. 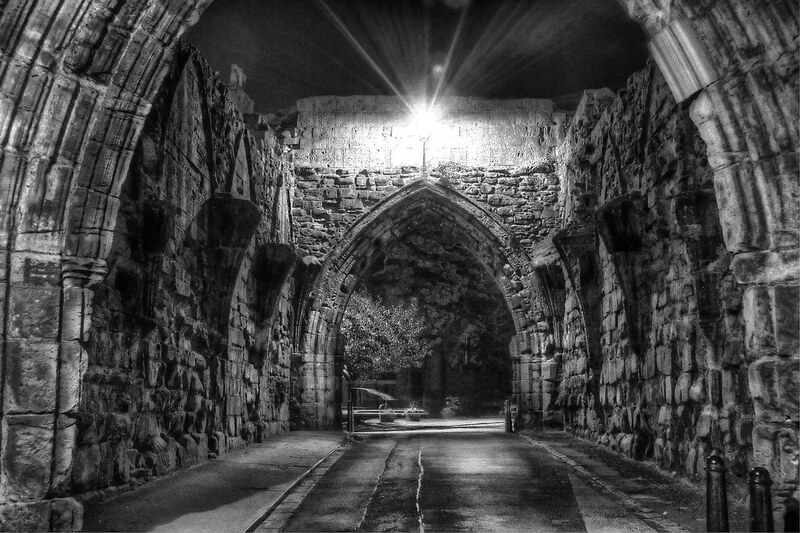 This entry was posted in Ruins, Scotland, St Andrews and tagged b&w, black and white, dark, fife, hdr, Medieval, night, Ruins, Scotland, scottish, skreid, St Andrews, street. Bookmark the permalink.